Shin Bet internal security agency chief Nadav Argaman says death penalty won't deter terrorists, warns situation in PA 'highly unstable'. 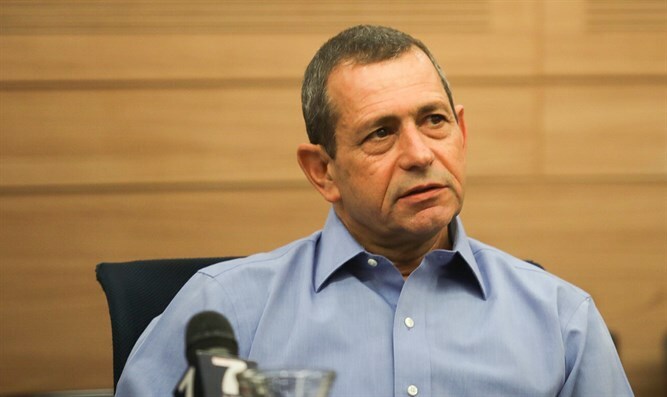 The director of Israel’s internal security agency voiced his opposition Tuesday to legislation proposed by Defense Minister Avigdor Liberman’s Yisrael Beytenu faction which would make it easier for courts to sentence terrorists convicted of murder to the death penalty. Speaking at the Knesset’s Foreign Affairs and Security Committee Tuesday morning, Shin Bet internal security agency chief Nadav Argaman responded to a question from MK Shuli Mualem (Jewish Home) regarding the bill currently up for consideration. Argaman responded that he did not believe use of the death penalty would be effective in ongoing efforts to combat Arab terrorism. While Israel does technically permit use of the death penalty in some cases, it has never been used since the execution of senior Nazi SS official Adolf Eichmann in 1962. The death penalty requires a unanimous decision by a court, and Israeli prosecutors have in nearly all cases avoided pushing for the death penalty. A bill proposed last year in the Knesset, however, would ease the requirements for sentencing terrorists convicted of murder to death, with only a simple majority of judges required. The bill passed its preliminary vote in January, but has remained in legislative limbo since then. On Sunday, Netanyahu gave his backing for the bill, Kan reported Monday morning, during a meeting with coalition leaders. Earlier on Tuesday, Argaman described the security situation in Judea and Samaria as unstable and “complex”, saying that despite the appearance of calm, there had been a large number of attempted terror attacks thwarted recently. "The situation in the Palestinian arena has been very unstable in the past year," Argaman said. "In the Gaza Strip we stand between a possible military campaign on the one hand, and an attempt to stabilize the humanitarian situation of the residents of Gaza on the other." "The reality is very complex. We can say that on the surface we observe relative calm, but we must emphasize that this is on the surface - Hamas is trying with all its might to carry out terrorist attacks from Judea and Samaria with guidance from the Gaza Strip, Turkey and Lebanon."